Before we talk about the employee experience, first the news. SwipeClock has acquired ApplicantStack, an acclaimed provider of recruiting and onboarding software. The North Carolina-based company has 2500+ clients who have streamlined their talent sourcing with ApplicantStack’s capable cloud-based systems. SwipeClock customers can contact their service providers for information on implementing ApplicantStack products. Today’s post focuses on a buzzy, but important, workplace issue: employee experience. Everyone understands the importance of the customer experience. An exceptional customer experience fuels sales, creates product evangelists, and builds global brands. Smart business owners understand that the employee experience is just as important. And the two are not exclusive. An improved employee experience improves the customer experience. Don’t confuse employee experience with employee engagement. There are nuanced but fundamental differences. While they both seek to make life better at work, engagement programs are designed to encourage employees to participate in the company’s identity and purposes. Employee experience (EX) theory comes at it from the other side—molding the corporate culture to the way employees are already living and working. The shift in approach makes it more likely for an employee experience program to succeed. If you design processes with an employee-centric focus, your team members will naturally engage. Why Should You Care About The Employee Experience At Your Company? One of the financial benefits is lower employee turnover. Increasing retention saves money on hiring, training, and severance. When a position is unfilled, a company may spend money on overtime for the workers that pick up the slack. You also lose productivity during the absence and training of the new hire. The problems with turnover don’t stop there. Customer service is threatened when a department is short-staffed. New employees make more mistakes. Experienced employees are highly productive. One veteran employee accomplishes disproportionately more than newer team members. High employee churn affects the morale of the entire staff. It’s harder to quantify than recruiting and training expenses. But poor morale lowers productivity (and profitability) as well. In addition to staying with the company, happy employees contribute more. A favorable employee experience not only improves productivity, it also unleashes creative thinking and innovation. Companies that dominate their industries have been focusing attention on EX for a while now. Smaller and newer companies should pay attention if they want to compete in a labor market that has changed dramatically. Take off your spreadsheet hat for a moment and put financial outcomes aside. Business owners can create a positive EX for purely virtuous reasons. Building a community and culture that people want to be a part of is a noble pursuit. Your employees spend a lot of time at work. And work is never far from their minds in their off hours. This is no small thing. Employers can influence a lot of lives. It starts with your employees and expands to their families and community. 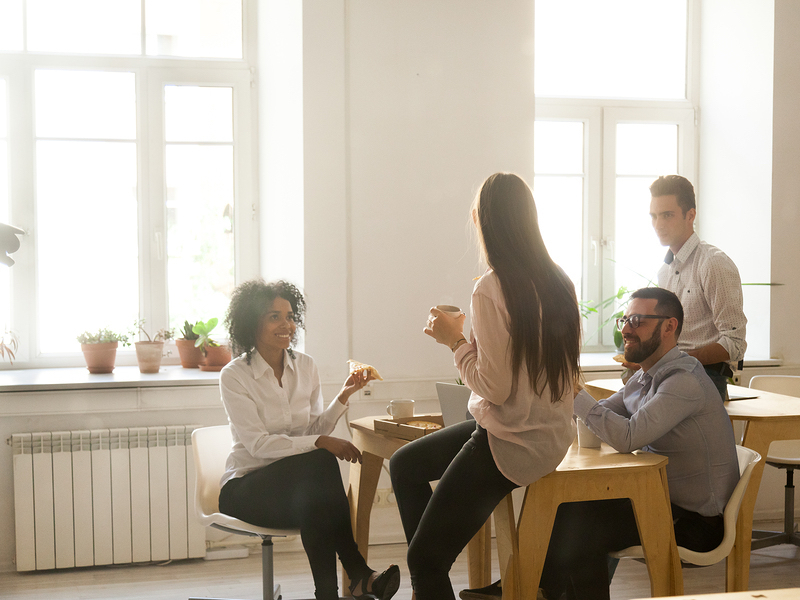 Is employee experience one of your 2019 business initiatives? The most important thing you can do is implement workforce management software. Think beyond web-enabled time and attendance—though that is essential. EX encompasses everything from onboarding to payroll to benefits management. Powerful Human Resources portals incorporate everything ad hoc systems used to do. A unified platform not only automates routine processes, it redefines the way employees engage with your company. WorkforceHUB is the HR portal of choice for companies in retail, healthcare, construction, hospitality, food and beverage, and manufacturing. It’s a complete Human Resources solution in one unified cloud-based solution. Nothing contributes to employee success like a smooth onboarding experience. Dazzle your new hires with the most intuitive onboarding tools in the industry. Create an onboarding experience on par with the most innovative large employers. Getting paid is a priority for everyone. Payroll hassles complicate life for your employees and reflect poorly on your company. With HUB, employees can access payroll information 24/7 from the mobile app. This includes pay stubs, W2 forms, direct deposit authorizations, 1099/1095 forms, and quarterly reports. HUB includes paycheck notifications via email or SMS. If we didn’t have you at payroll, benefits enrollment may clinch the deal. Offering competitive benefits attracts employees to your company. Providing the latest in benefits administration technology keep them there. Employees compare plans, enroll, and sign forms the only way that makes sense in 2019. Centralized management and e-signatures streamline everything for your HR team behind the scenes. HUB includes a company directory, of course, but also a suggestion box and recognition wall. This is also where you create and administer your own engagement programs. Consider employee spotlights, Monday motivation, company-wide brainstorming, random acts of fun, wellness challenges, and event planning contests. Get those creative juices flowing! Self-managed online onboarding helps new hires absorb the material at their own pace. It’s a welcome change from the stress of being handed a pile of papers. Electronic signatures and completion verification allow administrative personnel to monitor unobtrusively. Import your knowledge base into WorkforceHUB and tame all those documents. Handbooks, procedures, links to company resources and partners. You can easily customize access for different departments, locations, and teams. SwipeClock pioneered employee timekeeping and includes the latest version of TimeWorksPlus in WorkforceHUB. You’ll find online login, schedule enforcement, time-off requests, accruals, time card management, breaks/meals, and punch tracking. Eliminate buddy punching and collect attendance data for better decision-making. Plus GPS tracking for mobile employees and the latest compliance tools. Post your schedules a month in advance and reduce absenteeism. Drag and drop employees into shifts. Copy schedules forward to save time. Incorporate employee preferences and self-service shift trading. Use analytics to measure schedule effectiveness. Comply with predictive scheduling rules. Yep, we work with that. HUB integrates with popular systems including BambooHR, Cyberpay, Evolution, MPay, and Apex. For more information, visit HUB Connect.For more information about our solutions, visit SwipeClock WorkforceHUB. Improving the employee experience is not a once-and-done undertaking. A unified HR portal like WorkforceHUB creates a foundation to build on. The built-in analytics can guide your strategy. HUB automates tedious processes and provides the well-designed self-service tools your employees expect. When their day-to-day HR needs are managed brilliantly with HUB, additional engagement programs will be more effective. For more information about our solutions, visit SwipeClock WorkforceHUB.